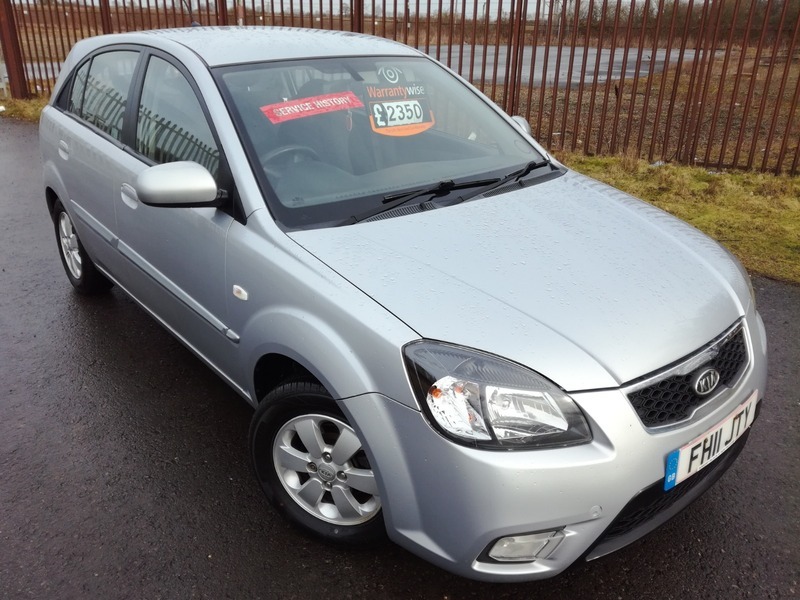 THIS IS A FANTASTIC EXAMPLE KIA RIO ON A 2011 PLATE WITH THE 1.4 PETROL ENGINE. VERY WELL LOOKED AFTER CAR, COMES WITH ALL THE RIO 2 REFINEMENTS INCLUDING ALLOYS, AIRCON, AUX, REMOTE LOCKING. DRIVES FAULTLESS WITH NO PROBLEMS WHATSOEVER. LOADS OF CAR FOR THE MONEY EXCELLENT VALUE. COMES WITH PLENTY OF MOT AND 6 MONTHS WARRANTY! !...ALL CREDIT/DEBIT CARDS ACCEPTED, PART EXCHANGE WELCOME, CHEAP UK DELIVERY, VIEWING 7 DAYS A WEEK WITH HOURS TO SUIT YOU, ASK FOR FINANCE! !